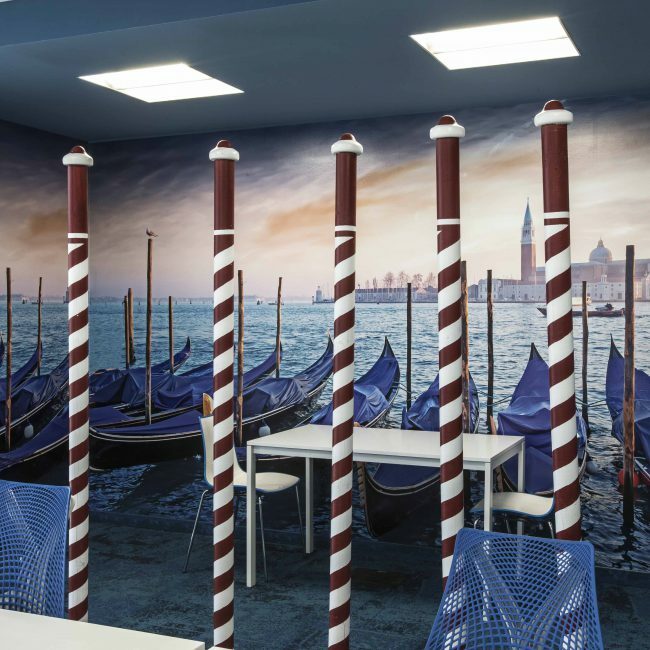 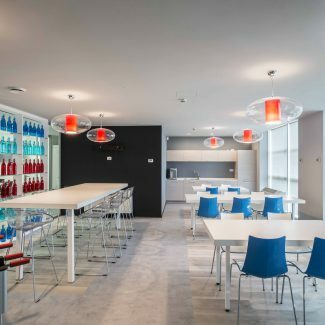 Again, Booking.com confirmed Tétris as its General Contractor for the creation of its new offices in Venice, tasking our team with the completion of all the office design, space planning and construction management activities. 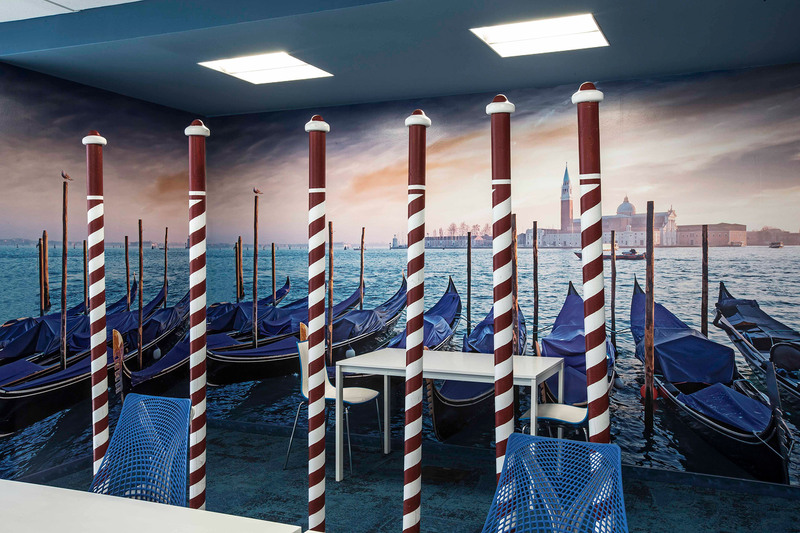 The magical atmosphere of the location, its transparencies and its colours, was the main inspiration for the concept of this fit-out project, which is a combination of the practical use of an efficient workspace and the creation of a different, surreal and unexpected setting. 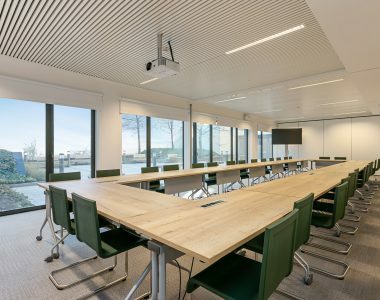 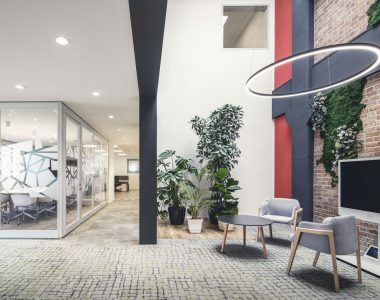 In line with the client’s needs, the premises include a large open-space working area and a series of support spaces for meetings or relaxation. 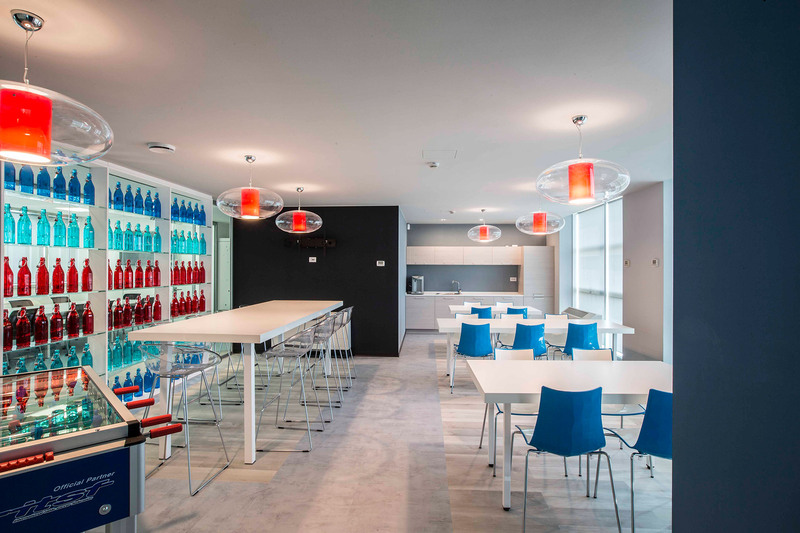 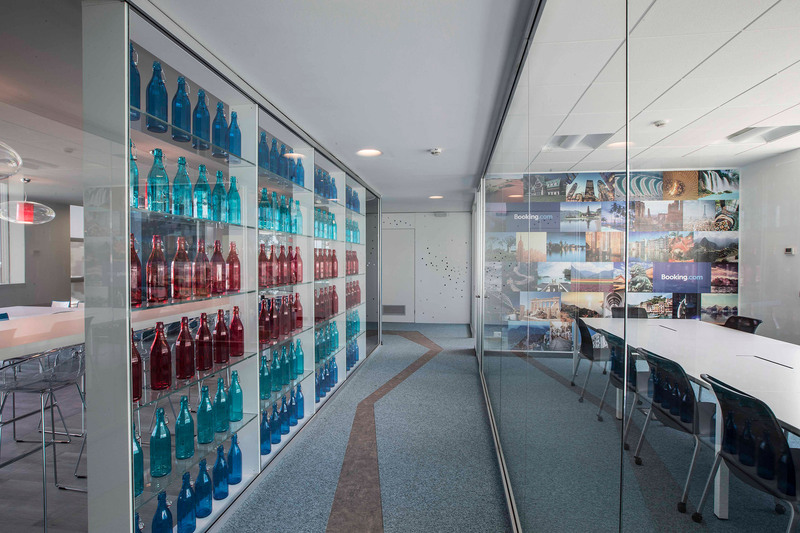 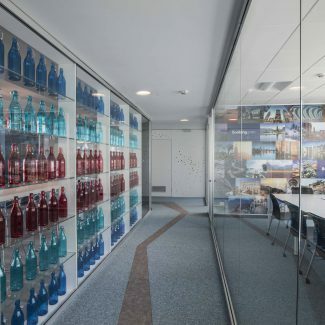 The interior design of the work areas is rigorous, with their clean-cut shapes, and contrasts with the decidedly livelier atmosphere in the break area, where the transparent effects and reflections from the light and colours are heightened by flashes of light from the scenographic walls made from coloured bottles, evoking the famous tradition of Murano glass. 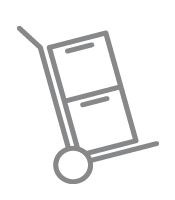 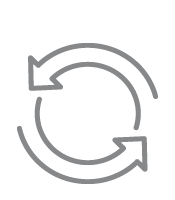 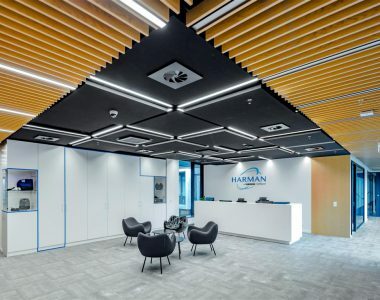 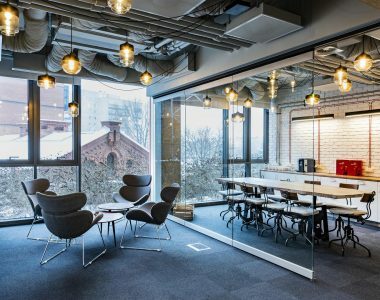 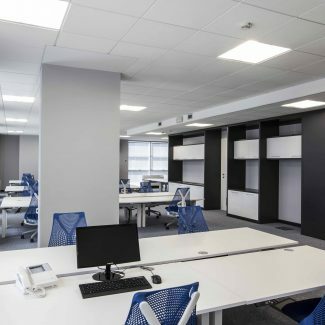 The works were completed in 10 weeks and included: workplace consultancy, space planning, office design, décor, office relocation, fit-out works. 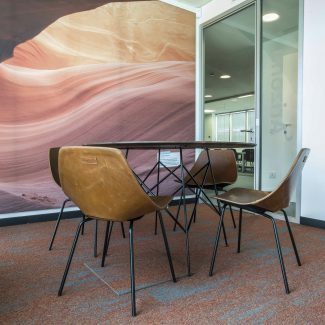 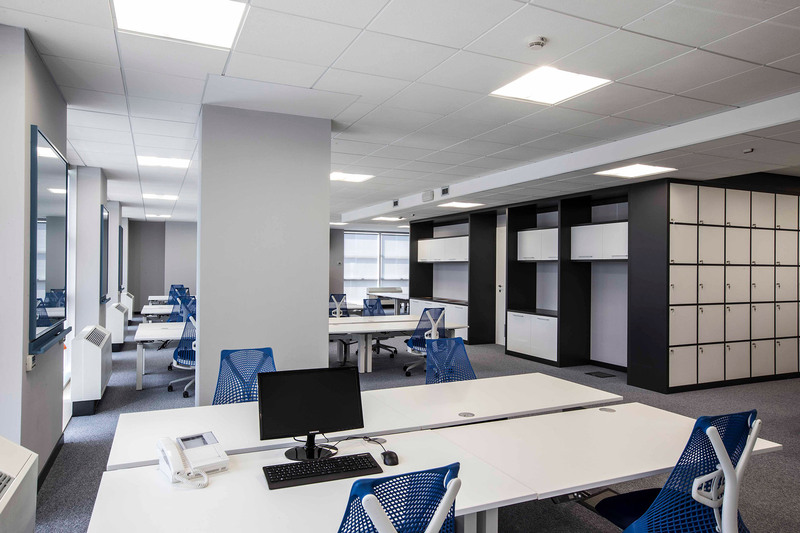 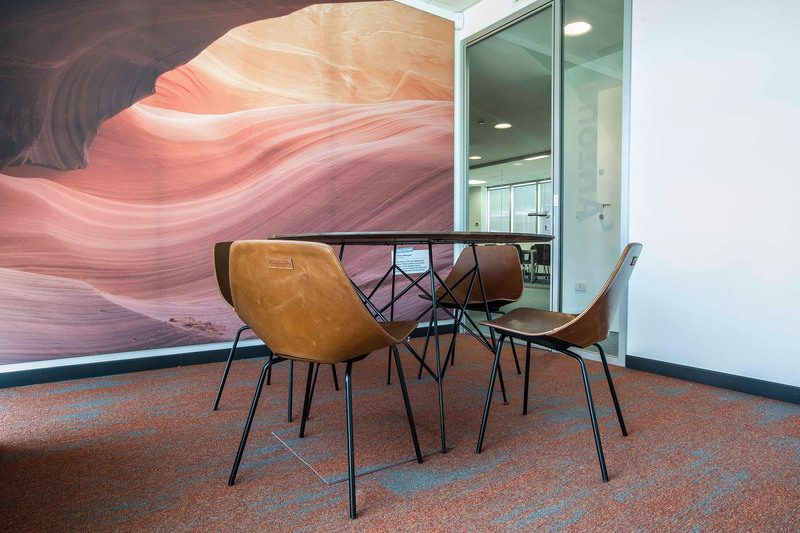 Tétris was appointed by a corporate client, leader in the wireless telecommuncation sector, to design and build the new image of their existing office.